Students need to bring general sewing supplies, thread snips, pins, marking pen/pencils etc. Be sure to bring a lunch if you would like. 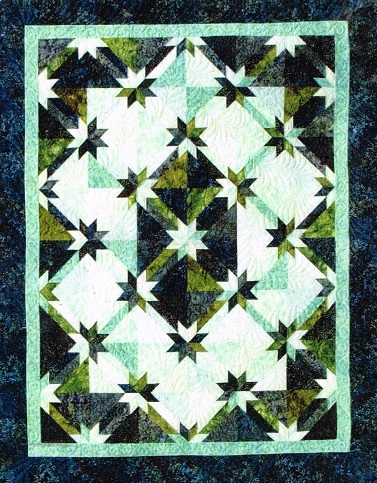 This traditional block is a breeze to make using the Rapid Fire Hunter’s Star tool. Sixteen blocks can be assembled to make a table runner, table topper or wall quilt or even add more blocks to these 16 to make a larger project. Choose either a 2-color or 3 color version for your class project. Both versions include just 16 blocks. The possibilities are endless! Class Pre-Cutting: If you come with these pieces already cut you will get much more done in class. You will cut more in class but this will get you started sewing sooner.